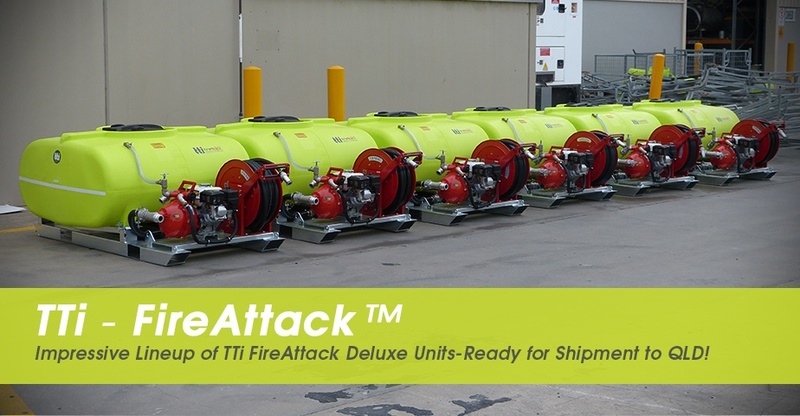 Impressive Lineup of TTi FireAttack Deluxe Units-Ready for Shipment to QLD! Another impressive lineup of TTi FireAttack units, ideal for firefighting, equipment washdown and tree watering. These are headed for a group of farms in Queensland! 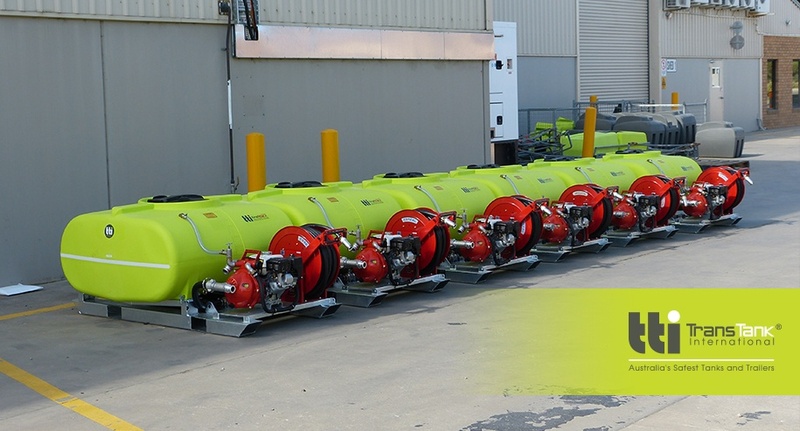 TTi-Australia’s Safest Tanks and Trailers manufacture a large range of fire fighting equipment. The units can be mounted onto the back of utes, trailers or trucks to provide immediate and reliable response to fires. However, these units are not limited for use with fires. Hundreds of civil contractors, government bodies and farmers use these units for tree watering, washdown and water transfer. Contact one of the friendly support team on 1800 816 277 or visit www.tti.com.au to find out more!